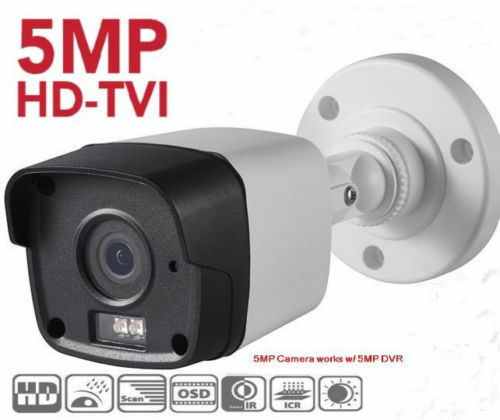 DC 12V 10.0 Amper Power BOX For electronic devices, like CCTV security cameras.CAN SUPPORT UP TO 9 CAMERAS. 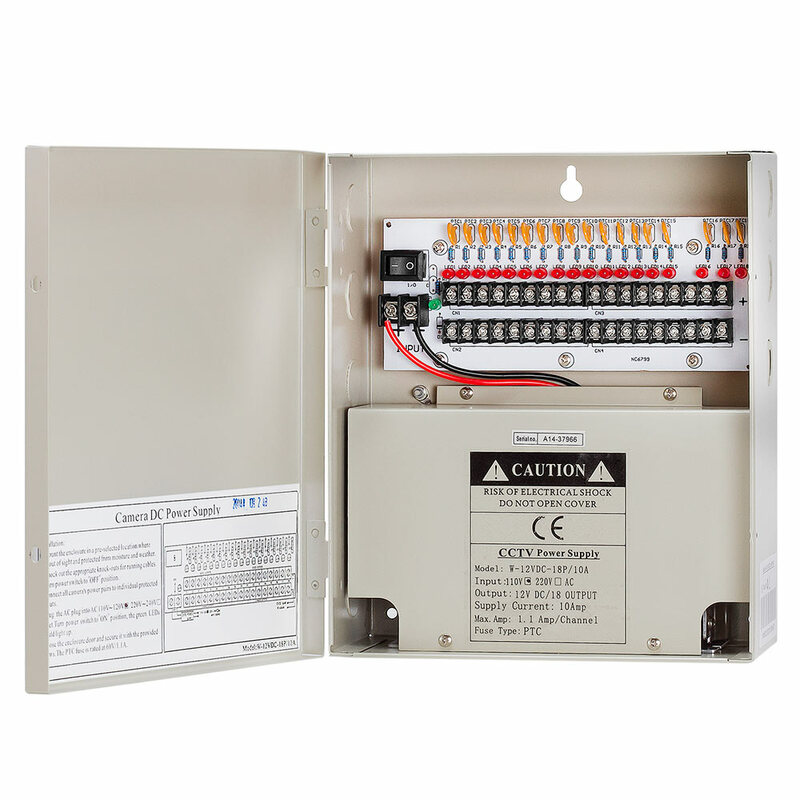 Regulated output protects your electronic devices from over voltage damages, and increase life of electronic circuits and products you are using with. 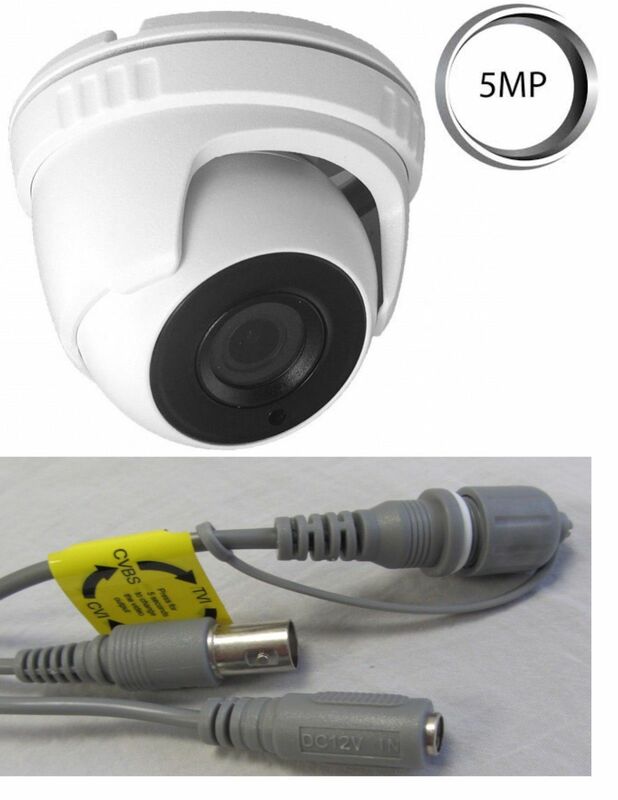 Perfect for any electronic products...Use it with For Security Cameras, DVR's etc. MAX Output Amperage: 1.6 Amp/Channel. 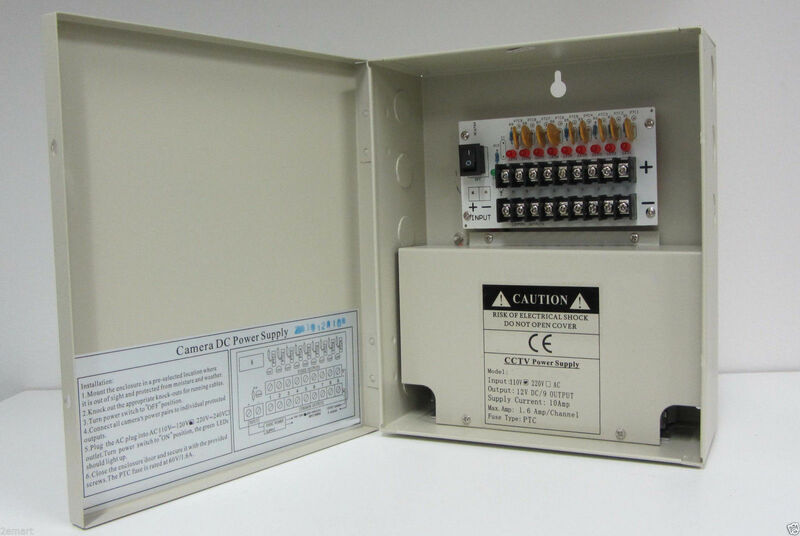 Individual PTC Reset-able Fuses Output Protection. An internal built on/off switch. Metal Case Size W 8" X H 10" X D 3.5". We also replace the cheap "glass fuse" with "PTC" Reset Fuses which will Auto Reset after you fix the short. You don't have to run around town try to find the replacement fuses. All you have to do is to fix the shorts.